Sterling silver dreidel with ancient Roman glass fragments. Sterling silver Collectors Dreidel with ancient history. set with authentic ancient stones found by archaeological diggings in the Holy Land. 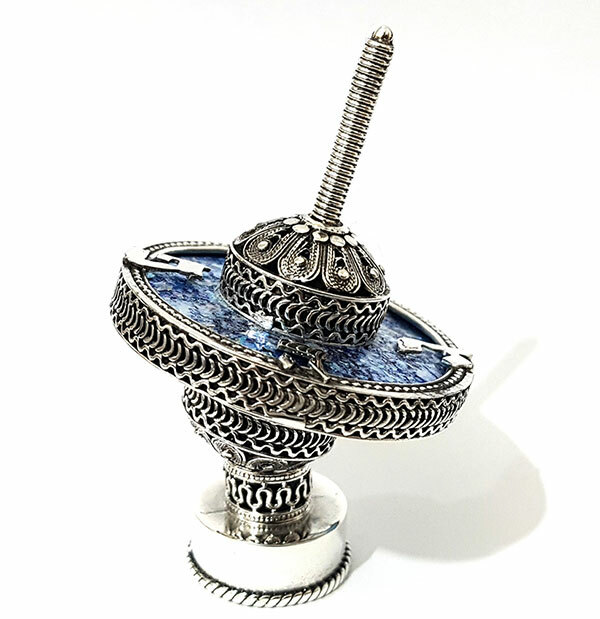 Comes with semi-filigree dreidel stand. A beautiful and meaningful gift or addition to your private dreidel collection.